Uh oh, I think I’m growing up. I used to be able to eat about 4 cookies worth of dough, then 8 freshly baked out of the oven, then 2 more a few hours later when they cooled down. And feel just peachy-keen. Now? 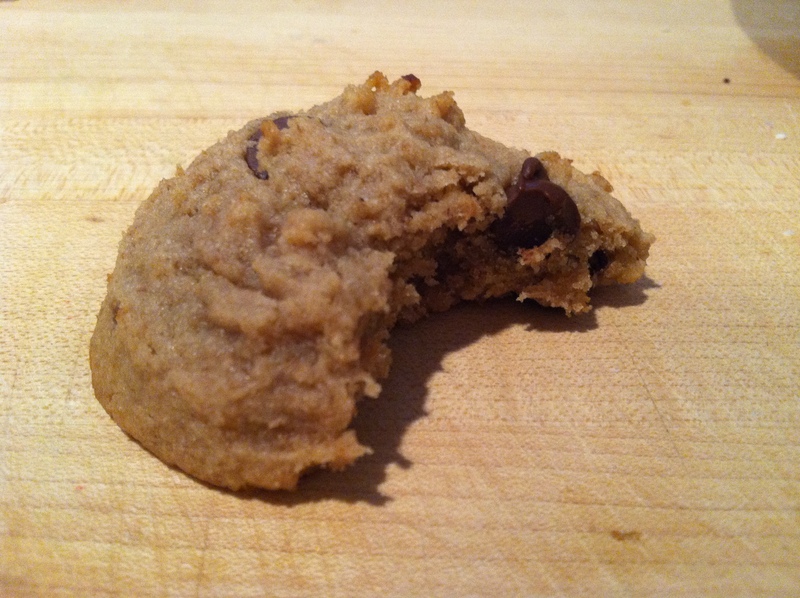 I have a spoonful of dough and one cookie out of the oven and I feel sick. WHAT. Along the same lines, mild drinking now leads to full next-day hangovers that last until I go to bed at 8:30. Hangovers that are not cured by long runs. Or bacon. Which is probably a good thing, because I don’t have to be sorry for partying if I don’t party. Normal occurrence. 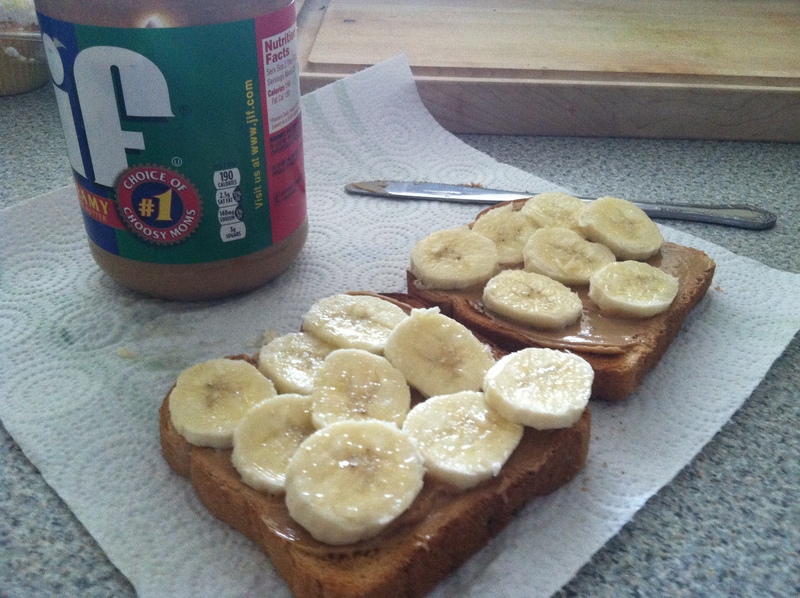 I bring a peanut butter and jelly sandwich to school with me every single day, but I go wild and crazy with peanut butter and banana toast on the weekends. Somebody stop me. And what isn’t made better by the addition of chocolate? Ants-on-a-log is still one of my (and Kevin’s!) all time favorite snacks. And don’t go trying to trick me with some celery/peanut butter/raisins nonsense. On Tueday I had two bananas on my counter that were looking too ripe for my taste, and their destiny was going to be banana bread. But because I start all days by reading my favorite blogs, they were turned into these cookies, courtesy of Jess. I re-named them because the cookies have the exact flavor profile of ants on a log, but Jess gets all the credit because they are fan-freaking-tastic. 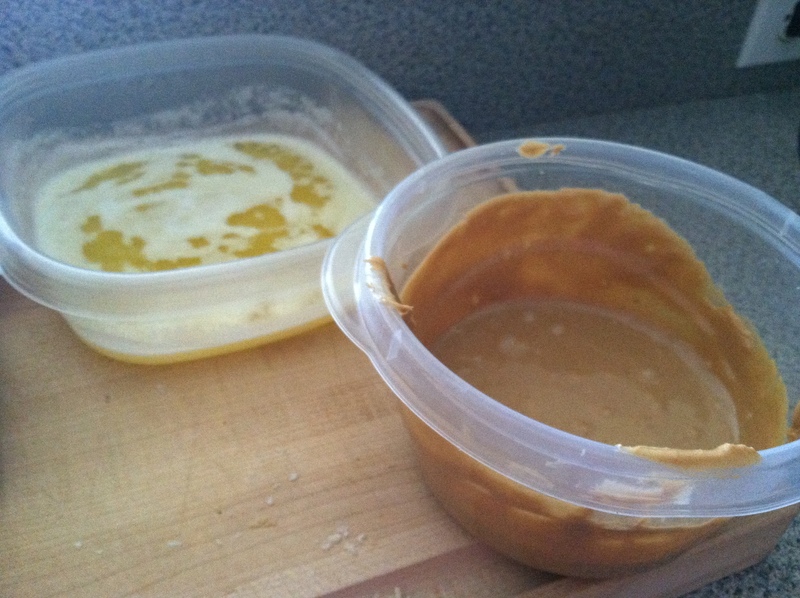 Melt the butter and peanut butter in the microwave. Set aside to cool. Combine flour(s), baking soda, and salt in a small bowl. Set aside. Mix the sugars with the butters. Add egg yolk and vanilla, then mashed banana. Using a hand mixer or your brute strength, combine the wet and dry ingredients, adding the flour in gradually. 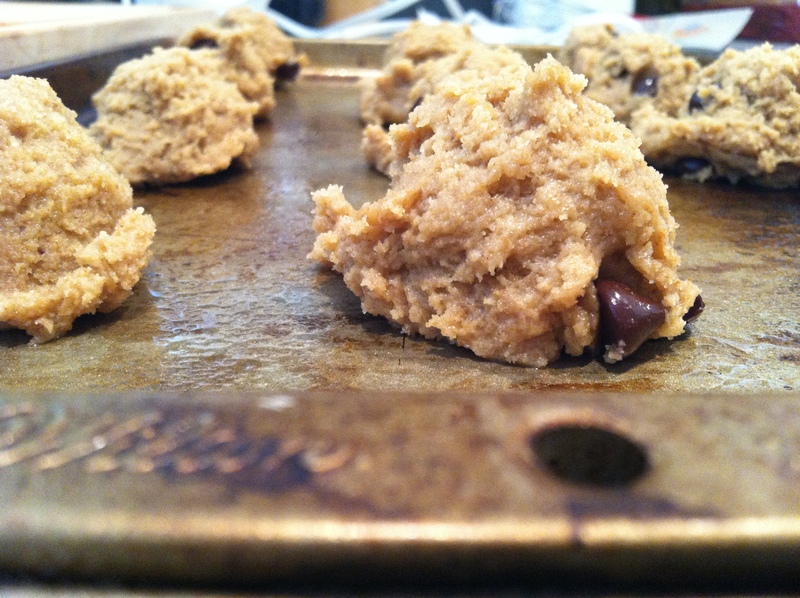 Stir in chocolate chips, and bake at 325 degrees for 12 minutes or until just barely brown around the edges. It wouldn’t surprise me if these cookies stayed soft for weeks. I unfortunately won’t know, because I only have 3 left. Forward any unwanted brown bananas to Baltimore, please.